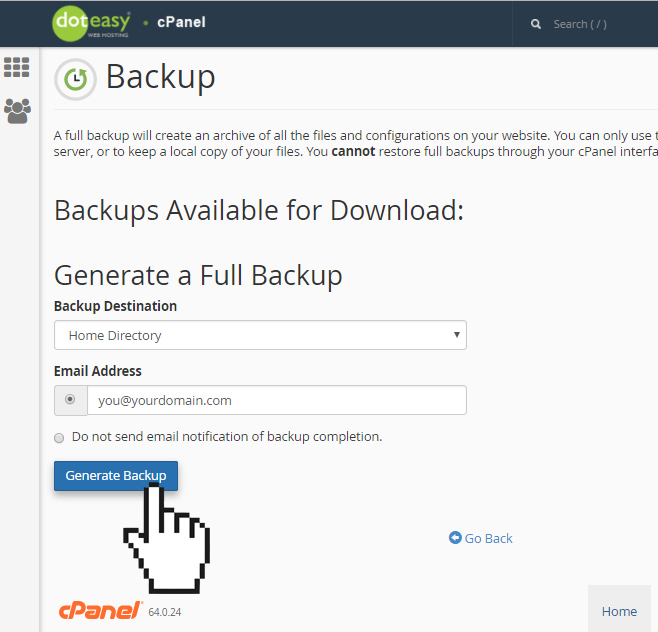 The cPanel Full Backup tool lets you create a compressed file of all of your website’s files and configurations. You can then download the file on to your local computer for storage or you can use it to move your hosting account to another server. 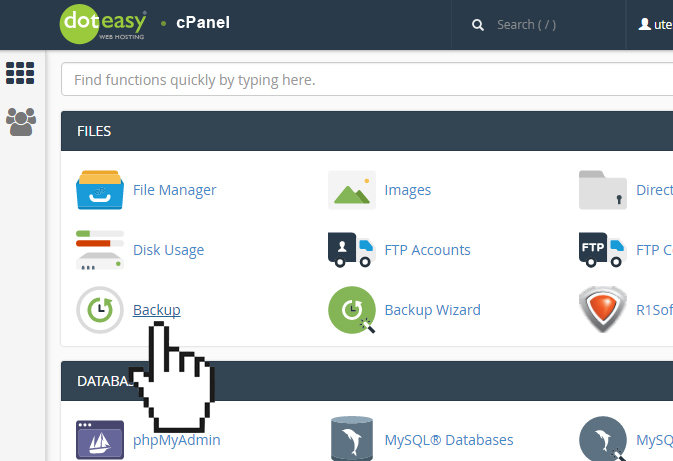 Click on Backup in the Files section of cPanel. In the Full Backup section click Download a Full Website Backup. 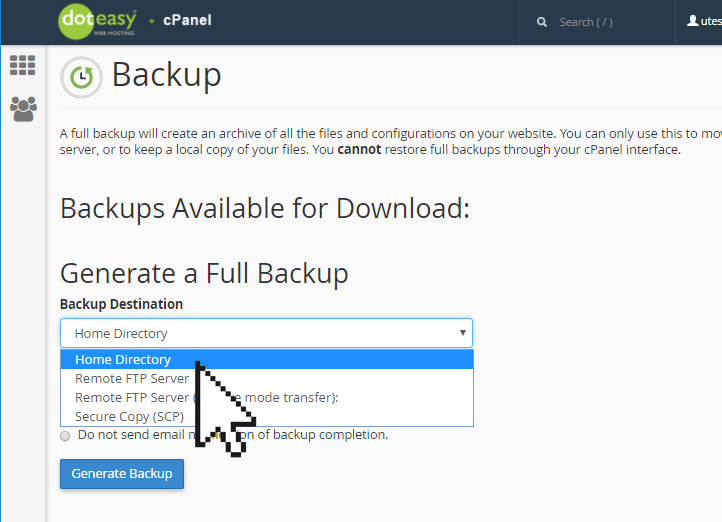 On the Backups Available for Download screen, make sure you select Home Directory from the Backup Destination drop-down menu. If you want an email notification when the backup is completed, enter your email address in the Email Address field. If you do not want an email, then simply check the Do not send email notification of backup completion option. 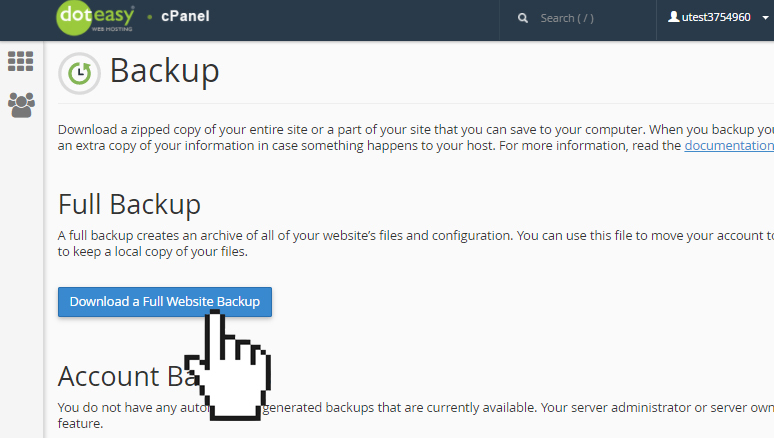 Click Generate Backup to begin the Full cPanel Backup. You will see a Full Backup in Process… message. Allow some time for the backup to complete. If you have entered your email address for the notification, you will receive the email notification upon completion. 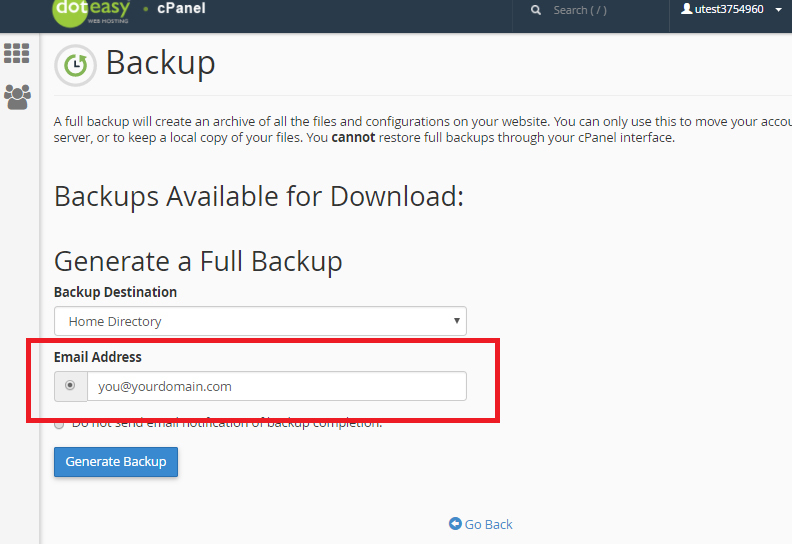 Once the backup has been completed, you can then proceed to download the file from your cPanel to your local computer.